Q. How do I find Harvard business case studies? You can find case studies at the Harvard Business Publishing website (https://cb.hbsp.harvard.edu/cbmp/pages/content/cases) which you can then purchase from them. Harvard's Business Publishing Customer service is available 24/7. Use the relevant contact information provided below to make any requests. 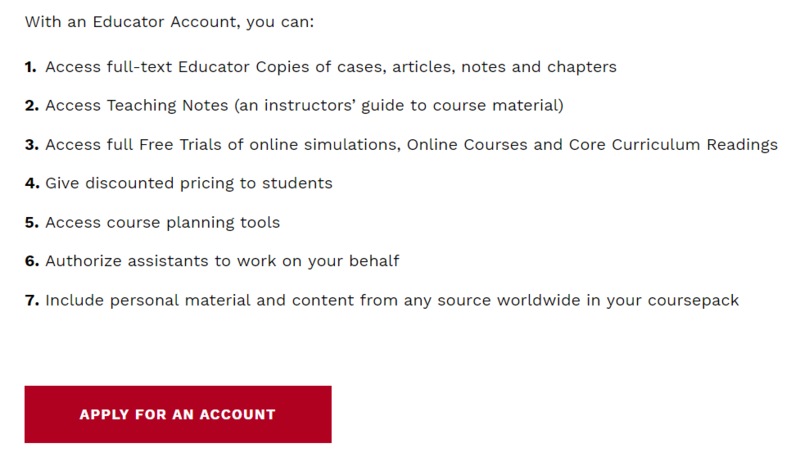 If you are an instructor who is planning to use case studies from Harvard Business Publishing in a course, you can register for premium access to review material and then follow Harvard's instructions to learn how to obtain them for classroom use. Click here to access Harvard's Copyright Permission Guidelines.